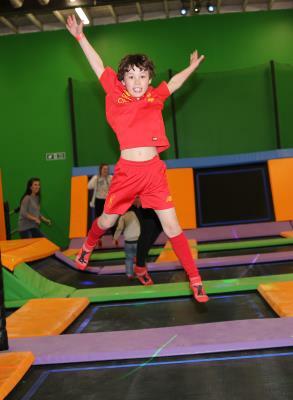 NoLimitz - Redditch Premier Trampoline Park! The best trampoline park in Redditch, Worcestershire serving Birmingham and the surrounding Midlands areas!! A great place to have fun and keep active! 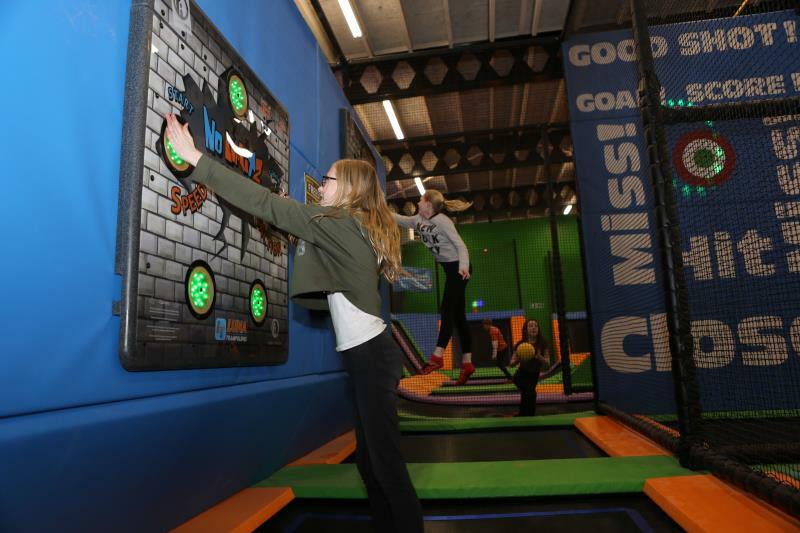 If so, please have your Booking ID when you arrive at NoLimitz Trampoline Park, To maximise safety, we do operate to strict capacity guidelines so booking in advance is enforced to secure your place. If you haven’t booked, please ask one of Reception staff and we will try our best to get you into the next available session. to reduce queuing and waiting time at the park. Our fabulous park is now open from the 1st April 2017. Please Note: At off peak times when the park isn't too busy during the school day, Monday to Friday. We do allow 3 to 5 year olds onto Free Jump. as long as they are accompanied by an adult. Please ring the park if you need further information, this can't be booked online. Our amazing £10 meal deal - 60 minutes on our Trampoline Park followed by a hot snack ( pizza or hot dog ) plus a slush drink. Available Mon - Fri evenings during our free jump sessions. Please book a meal deal session. If you can't see any sessions, then please contact the park and/or look at our facebook page for more information. 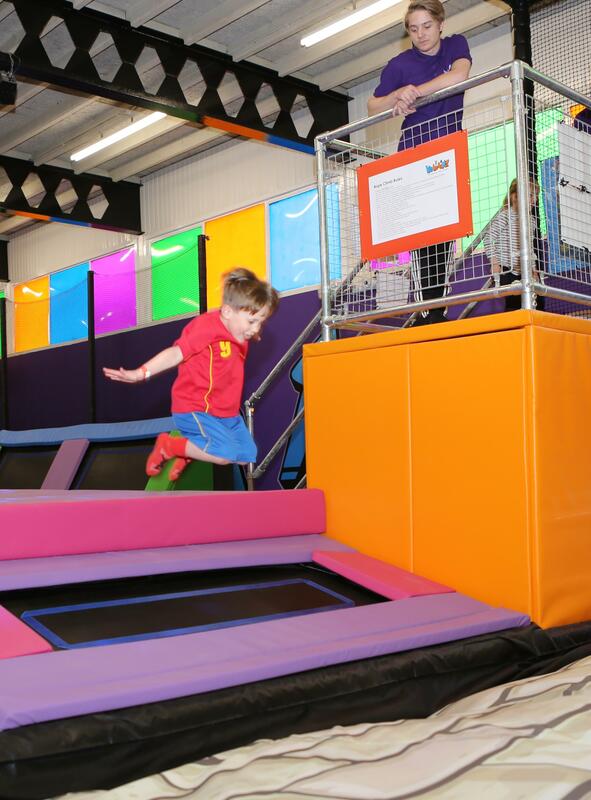 Toddlers love to jump too, that is why we have timetabled sessions just for them. You and your toddler can have the park to yourselves (and a few more toddlers), without the older kids getting in their way. Parties for 6+ Are available on all the party sessions. 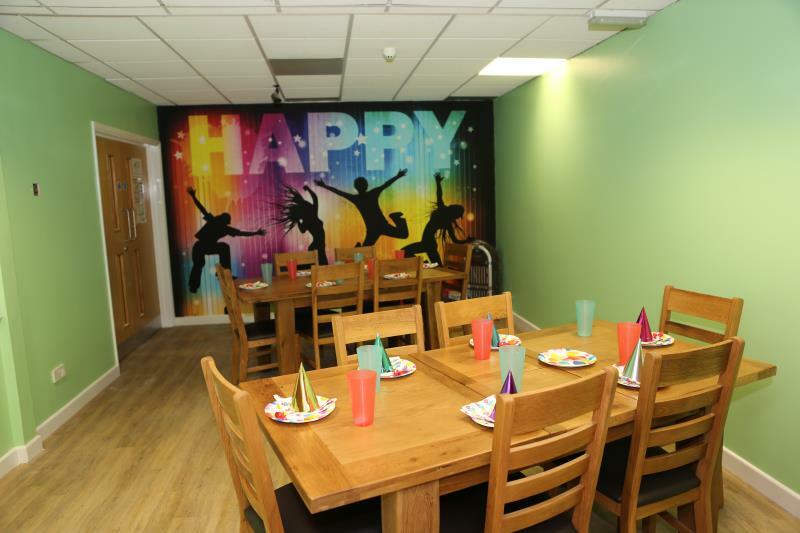 Toddler parties are available - 12-2pm Monday – Friday and not available during school holidays. This is so the parties occur during the Parent & Toddler sessions. Parties can be after 14:00pm and when no Parent & Toddler Sessions are happening. No Limitz is a safe and fun environment to have a one off trip, or regular sessions can be accommodated. Your safety is our number 1 concern. Please watch the Safety video and read our rules. Looking For a Job At NoLimitz? and we'll be in touch when we start recruiting.